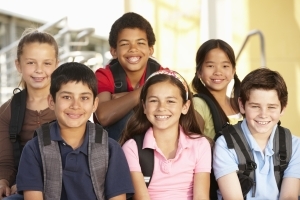 Since 2010, ACE Overcomers has helped prevent child abuse by educating parents and professionals about Adverse Childhood Experiences (ACEs) such as abuse, neglect, and household dysfunction. These lessons help individuals overcome the effects of ACEs while helping organizations understand trauma-informed care that helps those still suffering from ACEs. Today, ACE Overcomers serves as a reminder that “there is no excuse for abuse”. Through the eyes of our valued clients in education, health & human services, the criminal justice system, rescue missions, churches, and ministries, we have seen the harm that childhood abuse creates in all age groups. We as a nation must become more aware. We must stop the abuse of children and remediate those with a history of being abused. To help create this much-needed awareness, ACE Overcomers has joined millions of other individuals, corporate sponsors, and ministry partners to help make the month of April become the awareness month to prevent child abuse. You can help today! Visit our “help prevent child abuse” web page today and partner with us to make a difference in the lives of abused children of all ages. As the ACE study shows, there is a direct relationship between abuse as a child and trouble later in life, including getting involved in high-risk activities such as alcohol and drug use, mental and physical health problems at older ages, and dying at an earlier age than normal. The total lifetime estimated financial costs associated with just one year of confirmed cases of child maltreatment (physical abuse, sexual abuse, psychological abuse, and neglect) is approximately $124 billion, according to a report released by the Centers for Disease Control and Prevention, published in Child Abuse and Neglect, The International Journal. Getting involved at any level will help, and we can start by proclaiming April as Prevent Child Abuse month! We can help you show your support in your windows at home and at work, on the bumper of your car, and at your church! 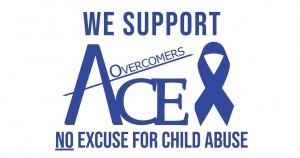 Please help support the organizations like ACE Overcomers who make it their corporate mission to end the cycle of abuse. Please visit our “help prevent child abuse” web page and get involved today.